Here you will find information and reports related to the health and safety performance of the forestry industry. See a snapshot of Health and Safety performance (PDF 2.2MB) in the industry. To help the forestry industry learn and become safer, WorkSafe has agreed to share information about forestry fatalities. 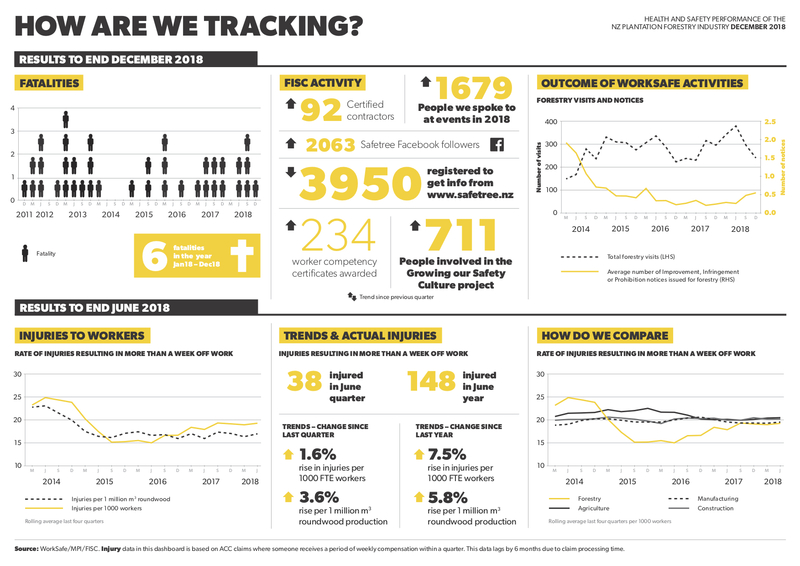 WorkSafe’s investigations into the incidents are continuing and they will inform us of any other key issues or trends as they come to light in the investigations. View safety alerts from forestry companies on the IRIS website. Results of a survey of the forestry industry on the state of health and safety in forestry, and the impact of FISC/Safetree. Conducted in Oct/Nov 2018 with the assistance of WorkSafe.